Letter to the World: Martha Graham danza Emily Dickinson [Letter to the World: Martha Graham dances Emily Dickinson], Rome, Aracne, 2015. 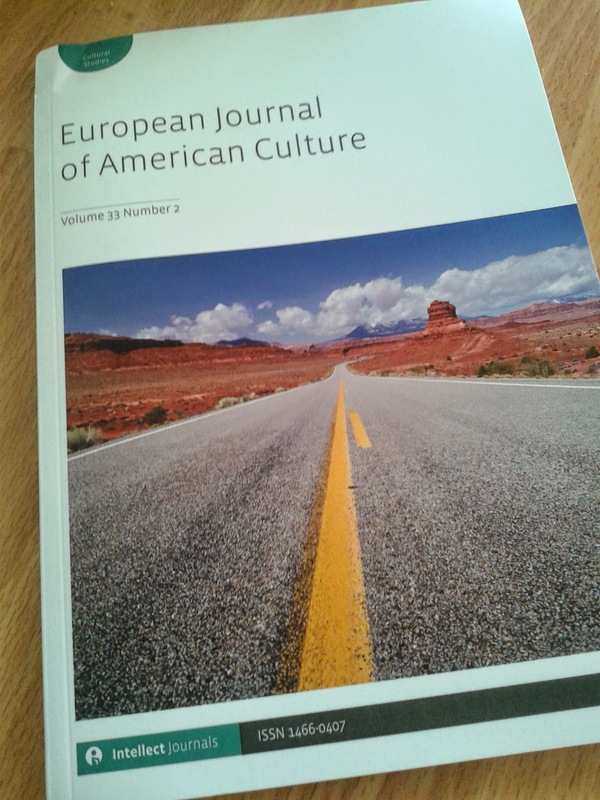 "The Ancestress figure: Puritanism in Martha Graham's choreography", The European Journal of American Culture, Vol 33, issue 2, June 2014, pp. 131-145. "The p.s. (la studiosa precaria): Raccontare la precarietà della ricerca attraverso una striscia a fumetti", in Mappe della precarietà, vol II, Bologna, Odoya, 2012, pp. 191-210. "Identità che s/ballano in rete: pratiche di interazione e collaborazione con il sito www.ballet-dance.com!, Scritture di donne fra letteratura e giornalismo Conference Proceedings, Società Italiana delle Letterate (SIL), published online here. “La seducción que danza: relación entre coreología y estudios de género en el mito de Carmen”, Atti del Convegno La disciplina coreologica in Europa: Problemi e Prospettive, Cecilia Nocilli e Alessandro Pontremoli (eds. ), Rome, Aracne, 2010, pp. 105-120. 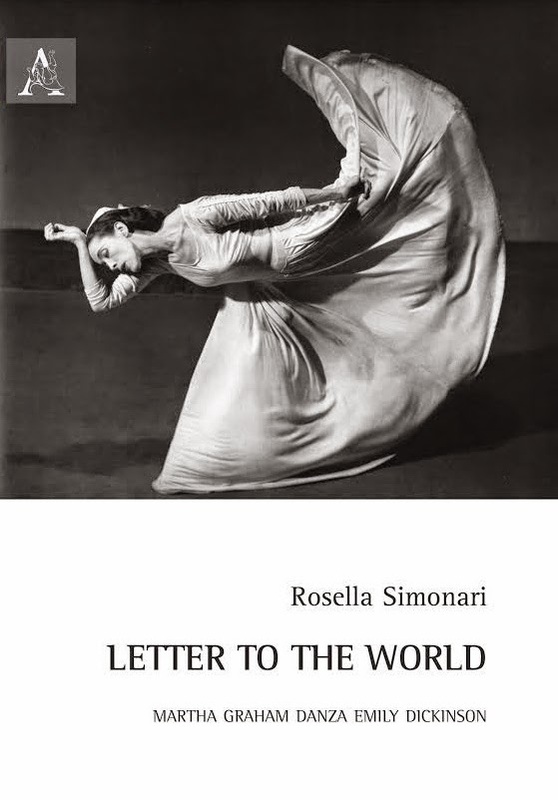 “Sulle tracce di Letter to the World: lo studio di una coreografia di Martha Graham fra ricostruzione e precarietà”, in La danza fuori dalla scena – Cultura, media, educazione, Conference Proceedings, Ornella Di Tondo, Alessandro Pontremoli, Francesco Stoppa (eds. ), La Rivista Abruzzese, no. 81 (monographic no. ), 2010, pp. 81-94. "'Is a Word Dead When it is Said? ': Relationship between Text and Performance in Martha Graham’s Letter to the World”, in Expression in the Performing Arts, Inma Álvarez, Héctor J. Pérez e Francisca Pérez-Carreño (eds. ), Cambridge, Cambridge Scholars Publishing, 2010, pp. 151-166. “‘After Great Pain, A Formal feeling Comes’: Emily Dickinson’s Poetry and Figure in Martha Graham’s Letter to the World”, in USA: Identities, Cultures, and Politics in National, Transnational, and Global Perpsectives, AISNA (Italian Association of North American Studies) XIX Conference Proceedings, Marina Camboni, Valerio Massimo De Angelis, Daniele Fiorentino, Tatiana Petrovich Njegosh (eds. ), Macerata, Edizioni Università di Macerata, 2009, pp. 539-552. “The p.s. (precarious scholar): using the concept of precarity as a creative tool”, Conversations Across the Field of Dance Studies – Dancing Economies, Society of Dance History Scholars Newsletter, vol XXIX, 2009, pp. 14-17. “Danzare il cante jondo: ipotesi di contaminazione fra Martha Graham e il flamenco”, Corpi danzanti. Culture, tradizioni, identità, Conference Proceedings dedicated to Giorgio Di Lecce, Ornella Di Tondo, Immacolata Giannuzzi, Sergio Torsello (eds. ), Nardò, Besa, 2009, pp. 209-230. “Bringing Carmen Back to Spain: Antonio Gades’s Flamenco Dance in Carlos Saura’s Choereofilm”, Dance Research, vol. 26, n. 2, Winter 2008, pp. 189-203. “Looking Back at Martha Graham’s Letter to the World: Its Genesis, Its Reception, Its Legacy”, in Looking Back/Moving Forward, SDHS (Society of Dance History Scholars) Conference Proceedings, 2008, pp. 52-57. “Alberto Spadolini e la danza”, in Bolero-Spadò: Alberto Spadolini, una vita di tutti i colori, Marco Travaglini (ed. ), Modigliana, Litografia Fabbri, 2007, pp. 118-126. Exhibition Catalogue, Sala Imperatori, Porto San Giorgio (Fermo), 10 August – 9 September 2007. "Spadolini: danzatore primitivista o pittore di ballerine?”, www.albertospadolini.it, April 2007. “Dead or Alive? : Martha Graham’s Legacy Twenty Years After she Passed Away”, http://www.ballet-dance.com/201201/GrahamJan2012.html, January 2012. “Moving Fabric: Costumes and Movement in Tero Saarinen’s Dances”, http://www.ballet-dance.com/200911/articles/feature_tsaarinen_20091002_simonari.html, November 2009. “Martha Graham atti di luce con Emily Dickinson”, Danza&Danza, n. 195, December 2006, p. 18. “Henri Oguike Dance Company: Open Rehearsal for Tiger Dancing, plus extracts from Front Line, Finale”, http://www.ballet-dance.com/200603/articles/Oguike20060127.html, March 2006. "Lettera al mondo: Martha Graham danza Emily Dickinson", Leggere Donna, n. 93, July – August 2001, pp. 38-39. “Nobody Knows and “I Lost Something on the Hill”: Fernando Suels Mendoza and Luna Dance Company”, http://www.ballet-dance.com/201105/Luna11Dec2011.html, December 2011. “Menhir Company: Nina e le nuvole (Nina and the clouds)”, http://www.ballet-dance.com/201105/Menhir21May2011.html, Summer 2011. “Anne Bogart and Martha Graham Hand in Hand Across America – SITI Company and Martha Graham Dance Company ‘American Document’”, http://ballet-dance.com/201011/articles/sitimgdc_american_20100611_simonari.html, November 2010. “Fists Up and Moving. Dance is a Weapon – Martha Graham Dance Company”, http://ballet-dance.com/201010/articles/mgdc_joyce_20100609_simonari.html, October 2010. “Martha Graham reinventata da Anne Bogart”, Danza&Danza, July – August 2010, p. 12. “Venice Biennale ‘Degree Zero’ – International Colloquium of Contemporary Dance”, http://www.ballet-dance.com/200908/articles/venicebiennale_colloquium_20090626_simonari.html, Summer 2009. “Emio Greco / PC – Hell”, http://ballet-dance.com/200906/articles/greco_hell_20090505_simonari.html, June 2009. "First Position: A century of Ballet Artists – book by Toba Singer”, http://www.ballet-dance.com/200811/articles/book_firstposition_20081000_simonari.html, November 2008. “Painting the Stage Conference – Examining the interrelationship of painting and the performing arts”, http://www.ballet-dance.com/200711/articles/paintingthestage.html, November 2007. “Alberto Spadolini Exhibition – Bolero-Spado': Una Vita Di Tutti I Colori”, http://www.ballet-dance.com/200710/articles/albertospadoliniexhibition.html, October 2007. “Il danzatore che dipingeva la danza”, Danza&Danza, 201, July – August 2007, p. 19. “Putting it Down in Words: Dance Theatre Journal Writing on Performance Conference”, http://www.ballet-dance.com/200705/articles/DTJ20070331.html, May 2007. “Homage to Milloss”, http://www.ballet-dance.com/200610/articles/Milloss20060610.html, October 2006. “What is There Under the Skin of the Dancing Body? : Underskin – Venice Biennale Dance Symposium”, http://www.ballet-dance.com/200607/articles/Underskin20060609.html, July 2006. “Tero Saarinen Company - ‘Westward Ho!’, ‘Wavelengths’, ‘Hunt’”, http://www.ballet-dance.com/200408/articles/Saarinen20040716.html, August 2004. “Graham Pleasing and Political, Martha Graham Dance Company”, http://www.ballet-dance.com/200403/articles/Graham20040222.htm, March 2004. “Pina Bausch and Beyond: Interview with Fernando Suels Mendoza”, http://www.ballet-dance.com/201201/MendozaJan2012.html, January 2012. “Ritmo di parola e gesto: intervista a Valeria Simone”, http://dancescriber.blogspot.com/2012/02/ritmo-di-parola-e-gesto.html, 22 May 2011. “Albero, ecologia dell’anima: intervista a Elisa Latini”, http://dancescriber.blogspot.it/2011/07/albero-ecologia-dellanima.html, 31 May 2011. "An Interview with Susan Sentler: Exploring Martha Graham’s “Primitive Mysteries””, http://www.ballet-dance.com/200612/articles/Sentler200609.html, December 2006.
http://www.donneinviaggio.it/articoli2.asp?id=96 (no longer available), October 2004.